Created by Thierry Moreno, NV Logistics began its activities in 2010 with services in air freight, sea freight, road freight and crosstrade. Based on the site of Geneva Airport, NV Logistics benefits from a privileged location in the heart of Europe. In 2011, a branch with a 1500m2 warehouse was opened in the Milan area (Italy). It offers storage and crossdocking for ready to wear fashion and fashion accessories. In 2012, a new service was launched, the “Vital Logistics” division, dedicated to therapeutical products storage and transport. 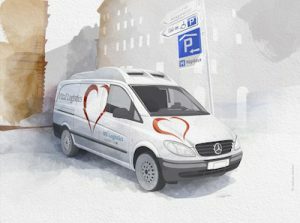 A specific warehouse opened in Meyrin (Geneva) and NV Logistics was accredited and certified by Swissmedic. 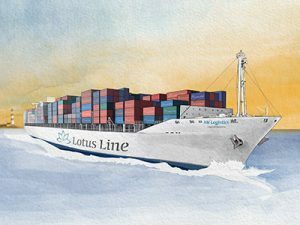 In 2013, NV Logistics launched “Lotus Line“, which offers import sea freight consolidation service, direct from Asia to Geneva every week. Also in 2013, the emergency service“Critical Logistics” was launched with great success. NV logistics has taken shares in Juko Express, a company situated in Collonges-sous-Salève (France next to the Swiss Border). 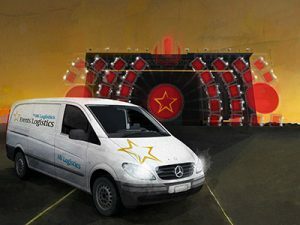 In 2014, NV Logistics opened a new service called “Event Logistics” which organizes the transport for trade fairs, exhibitions or cultural and sport events. Due to an exponential growth, the team has expanded quickly and boasts in 2017 a team of 17 people in Geneva and 12 people in Milan. Thanks to its adaptation and personalisation ability and its specific knowledge in logistic services, NV Logistics offers high level global and optimized services for its clients in all areas of activity. Be the first to receive our latest Life Sciences Shipping articles straight to your Inbox.